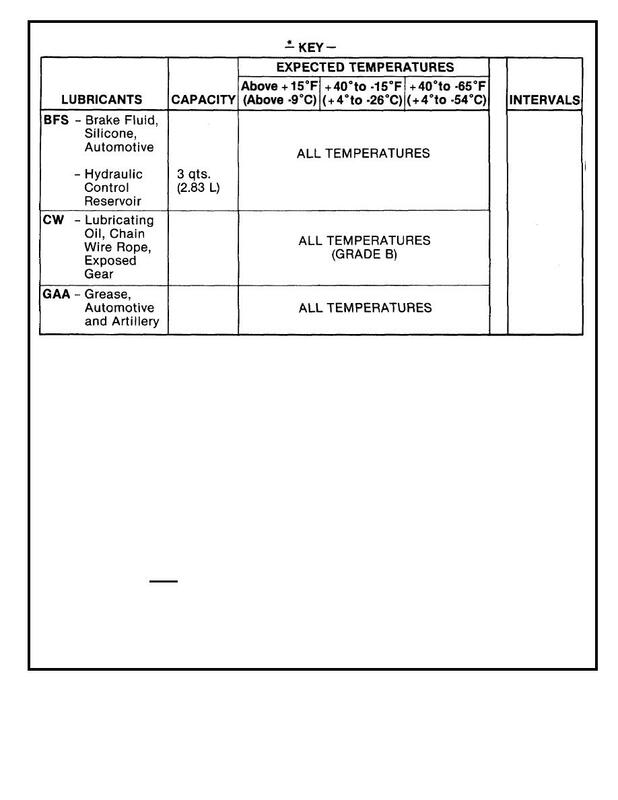 *See Note 17 for lubricant specification number. period will adhere to the schedule for Active Army units. unavailable, hard time intervals will apply. dipstick (allow to set 5 minutes before checking). samples as soon as they have been taken.